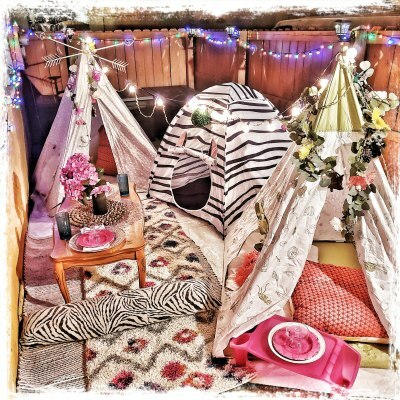 Twinergy Party Rentals Glamping Parties will create a uniquley special space for your next celebration. our glamping Parties take the hassle and stress out of planning your next event. With our all incluisive pricing, we Deliver to your home, Set up, Style, and pick up the next day. you'll get a truly amazing event, with each party. we also offer additional add-ons to give your party that extra 'ooh la la'. Our Playdate Slumber party is perfect for your little one not yet ready for an overnight sleepover. Let them enjoy all the fun of a sleepover party without the overnight stay. Our Blanket Fort Sleepover creates a magical night with an overnight stay. 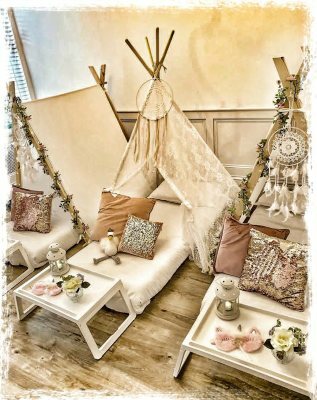 Our spacious Bell Tents give you a perfect space for an intimate retreat or get together. 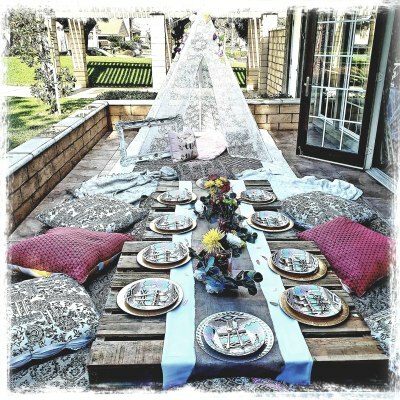 Turn your backyard into a Bohemian Fairyland. Our Glamping Picnic turns your dinner party into a beautiful dining experience.